Live worksheets > English > English as a Second Language (ESL) > Present continuous > What are they doing? 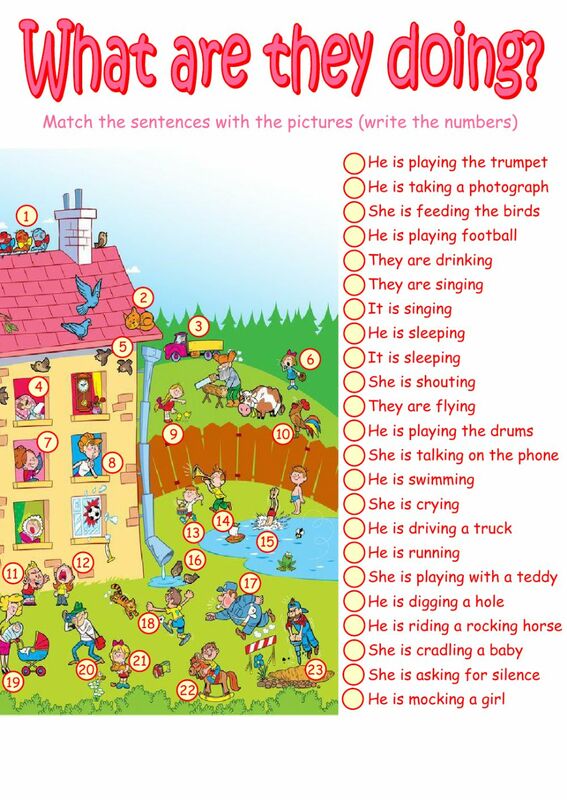 Reading worksheet on present continuous: match the sentences with the pictures. I lové the Colours as Well ! Beautifully made and very useful!